In the early afternoon of July 8, 2007, Reinhard Nitze could observe the most extensive halo display with 8 different halo types he had ever witnessed. The most interesting feature of the display was probably the appearing of the anthelion with Wegener´s anthelic arcs attached to it. The left part of Wegener´s anthelic arc was clearly visible to the naked eye, but in the photographs also the right part seems to be faintly visible. 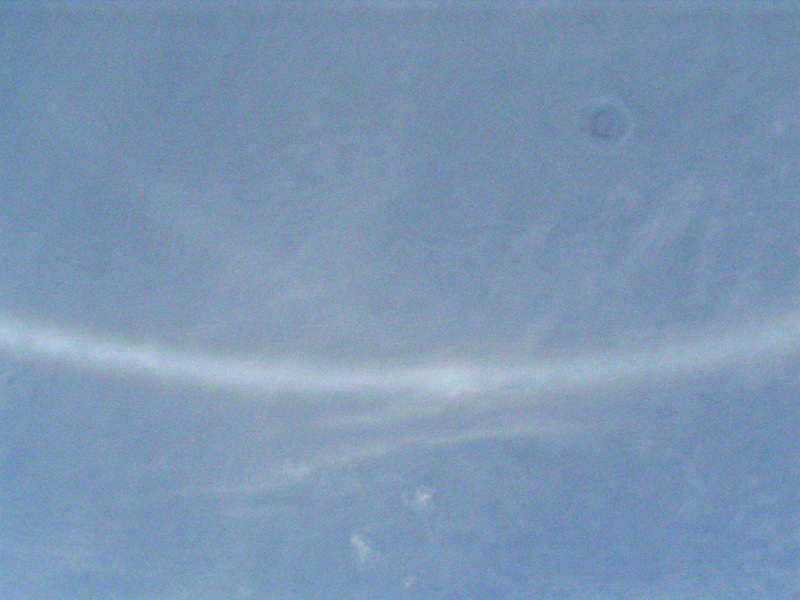 One picture, processed by an unsharp mask, even gives the impression of a faint “halo-X” on the parhelic circle. The 120°-sundogs, were clearly visible too. Also the other side of the sky around the sun looked interesting. The sun was surrounded by a faint 22°-degree halo, and on top of it there was a bright and colourful upper tangent arc respectively circumscribed halo with a Parry arc attached to its upper side. As the circumscribed halo crossed the sundogs exactly, I first thought of the Lowitz Arc (erroneously). Both sundogs were visible, the left one for a short time very bright and colourful. 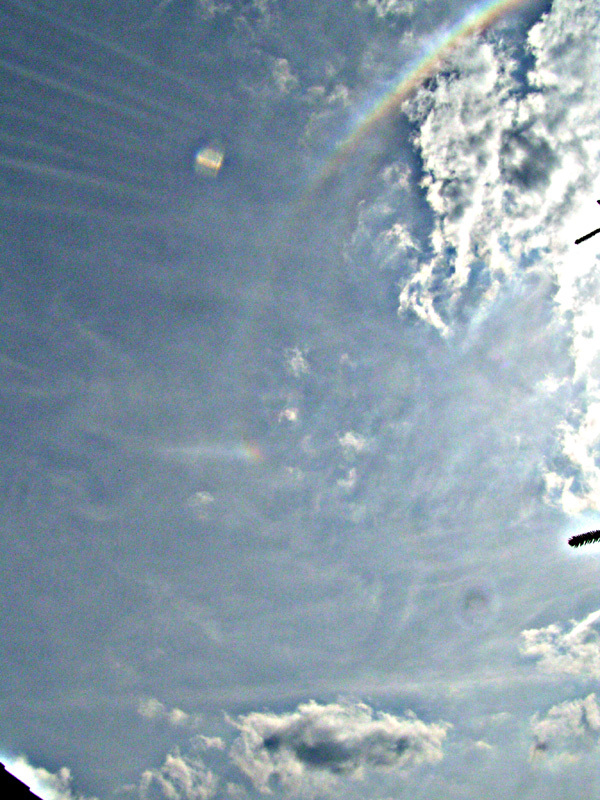 The parhelic circle was faintly visible even inside the 22°-halo on the left side. But this part of it it was not very bright. At its largest extension, two thirds of the parhelic circle were visible. Unfortunately, low clouds often disturbed the observation.